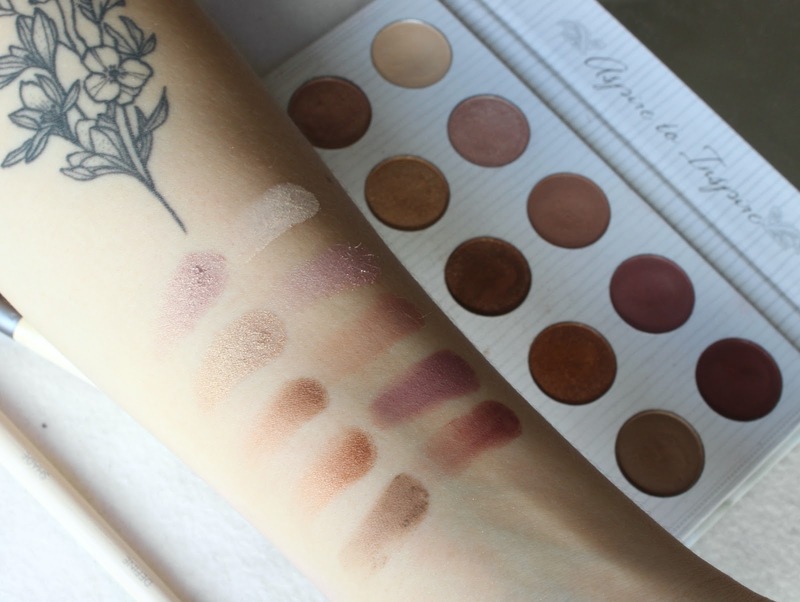 As you can see, the eyeshadow colours are neutral, gloriously pigmented and suitable for a huge range of skin tones. I’ve been able to create some ‘barely there’ looks as well as some bold night-time ones and the gradient from light pink to deep bronze means this palette will serve you well no matter the season. 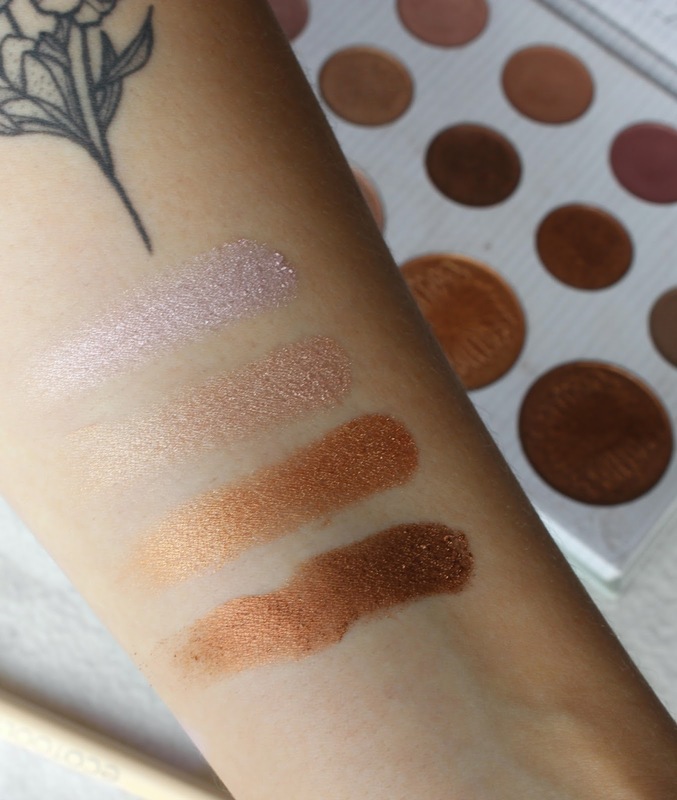 The five shimmery shades are so buttery, they’re an absolute dream to apply and blend effortlessly. The matte shades are pigmented, though they are admittedly more powdery and you’ll need to work your blending brush harder. This is common in better value palettes, though, and doesn’t detract from how impressed I am. The highlights are, as the kids say, POPPING. The two lighter shades I’ve been using daily, sometimes mixed together (really pushing the boat out). The pink gives me a real Farrah Moan-esque glow that I can’t get over. The two darker shades would look gorgeous on those with deeper skin than mine, but as they don’t suit me in terms of highlight, I’ve found better use for them mixed into my eyeshadow looks. Waste not, want not. I’ve been using this palette every single day for the three months I’ve had it, and you can consider me impressed. At only £18.00 (it was £12.50 on Beauty Bay but Lisa just informed me it was out of stock, oops. Try here?) this is incredibly good value for a humble student budget like mine. If you find yourself in the market for a good vegan powder palette, I’d really recommend giving this one a go. In the meantime, I’ll be ogling at the rest of BH Cosmetics’ range until I can afford to pick up more. I bought this with my own money, and all views are my own. I know it seems so bloody advertorial but I seriously just love it.